The base image is the Hydrosheds version of the SRTM DEM. 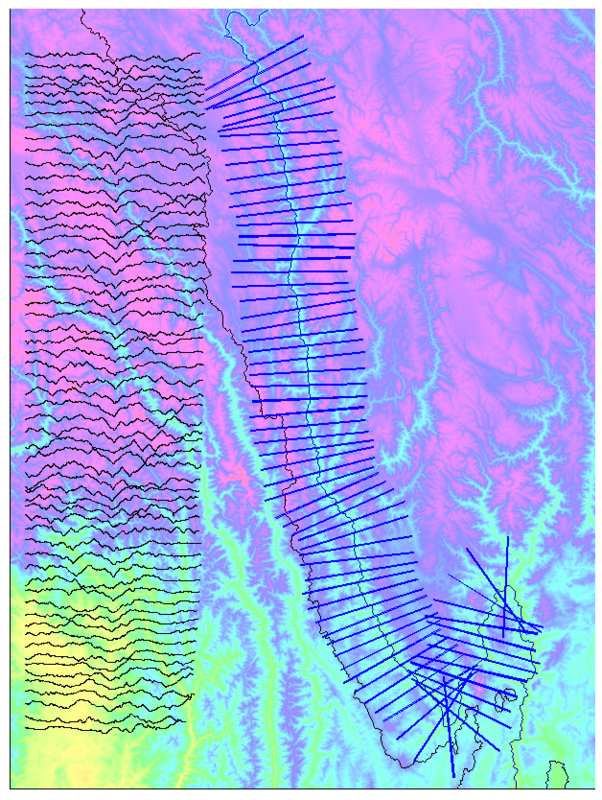 A longitudinal profile of the upper Yangtze was created by tracing from cell center to cell center. That profile was fed into xsections.py to create cross-sectional profiles. 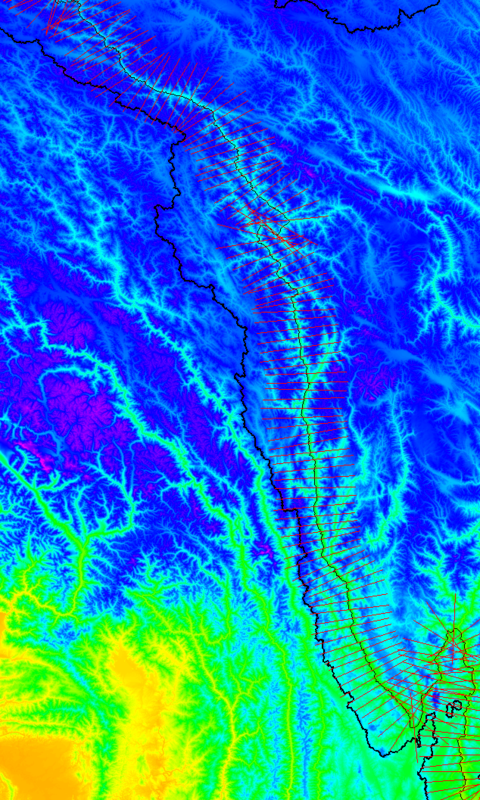 Cross-valley profiles in this example are spaced at 10 km intervals. The are 70 km long, and are oriented perpendiclar to a baseline 120 km long. The criss-crossing of the profiles is a matter for discussion. It could be corrected by shortening the lines, lengthening the baseline, or by constraining the change in angle between successive sections. Section lines could also be hand-edited (and bent, too) in a GIS, though that could be tedious. Profiles were sampled along selected lines. They include distance in meters and basin membership. This is a draft map of most of the profiles, lined up with their vertical position on the map. This is based on files on Harvey's desktop computer in e:/work/yangtze.